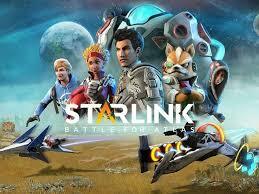 For all of you Starlink: Battle for Atlas players out there, you will be happy to know that a brand new update is coming to the game. The new free update will go live on December 21st and will introduce new enemy units, new outlaw activity and fortifications and a brand new Photo mode. – NEW ENEMY UNITS – All planets of the Atlas star system will receive brand new enemy types, introducing unique gameplay mechanics and encouraging players to adopt new strategies. – NEW ACTIVITY – Outlaw fortifications will appear all over Atlas for players to take down. This new activity will provide loot and experience upon completion. – PHOTO MODE – Players will be able to capture the favorite moments of their journey throughout Atlas and express their creativity with several tools to personalize their shots.